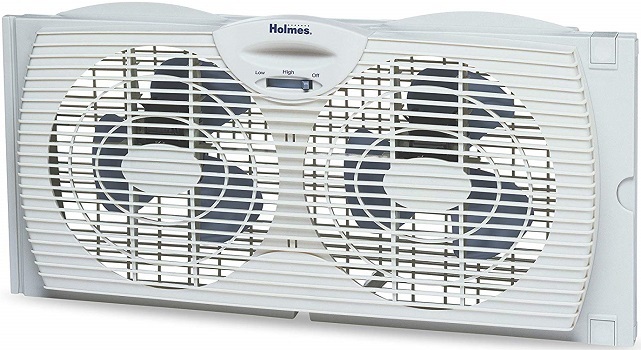 Cooling fans are a cheap, easy, yet smart way to reduce the heat around you. As a comparison, typical air conditioner running for 12 hours per day uses 335 kilowatt-hours per month and costs around $40 monthly to operate. While a higher revolutions-per-minute box fan adds just about $4.40 to your monthly electrical bill. 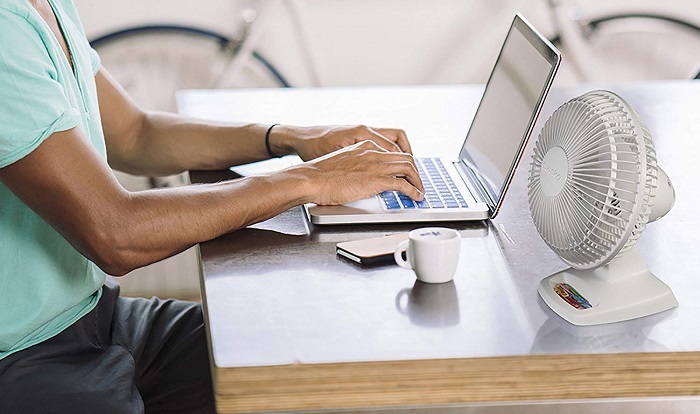 • Table Fans - compact size allows for easy transport. Suitable for cooling personal spaces. 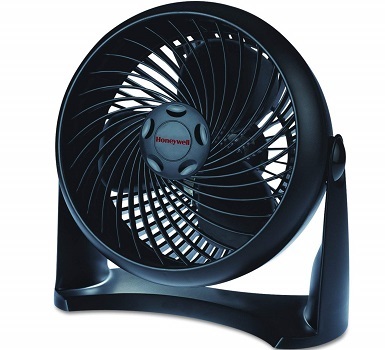 • Pedestal Fans - Adjustable height for convenient operation. Many have oscillating heads for more air distribution. Great choice for cooling large rooms. • Window Fans - Brings in fresh air and draws stale air out. Suitable for cooling areas where leaving a window open isn't enough. • Wall Mount Fans - Provides powerful air circulation. Great for industrial settings (warehouses, workshops, garages, factories, etc). • Floor Fans - Provide powerful airflow and ventilation at foot level. Ideal for areas where mounting a fan on a wall or ceiling isn't feasible. • Tower Fans - Thin, verticle design allows it to fit into small, compact spaces. Great for cooling homes and offices; also quiet. • Ceiling Fans - Makes rooms feel significantly cooler by providing a circulatory breeze. • Box Fans - Extremely versatile - can be placed on the floor or in an open window (similar to an AC). Helps circulate indoor air and prevents it from getting stagnate. Measured in Cubic Feet per Minute (CFM) - the amount of cubic feet of air per minute the fan moves. The higher the CFM, the more air per minute the fan moves. • Reverse speed: reverse action circulates heat for an even room temperature. • Programmable Timers — help you save energy and reduce overuse. Honeywell HT-900 TurboForce is quiet and compact enough for on a table or wall mount & powerful enough to help provide comfortable cooling in small-medium rooms. In the winter months, the Turbo Force power helps to efficiently circulate warm air throughout your home, saving you money on heating bills. • Can cover a large space. • Energy efficient, energy saving. • The fan has enough power for very hot climates. • Doesn`t fit in all windows & oscillate. 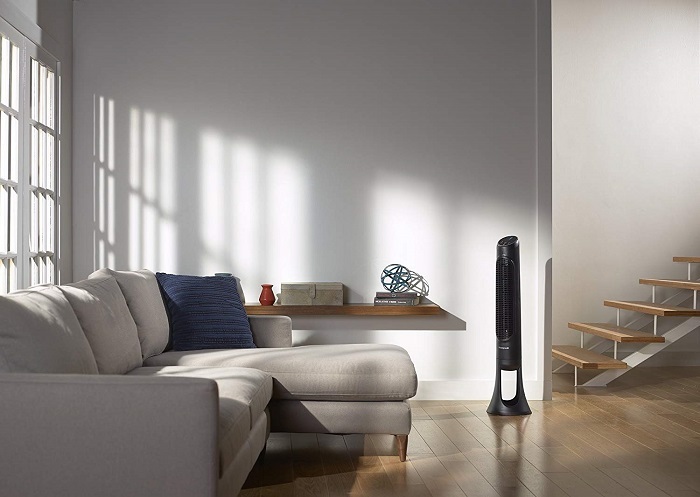 Bionaire BW2300-N comes with twin fan blades with independent settings allow this window fan to draw in fresh air from outside, exhaust hot air from inside, or do both simultaneously while a programmable fan thermostat with LCD screen lets you select a desired room temperature. • Has a programmable thermostat to help modulate the temperature. • The motors are water resistant, making it great for the bathroom. • No screen on the fans. • A little loud for the bedroom. • The extender panels seem a little flimsy. 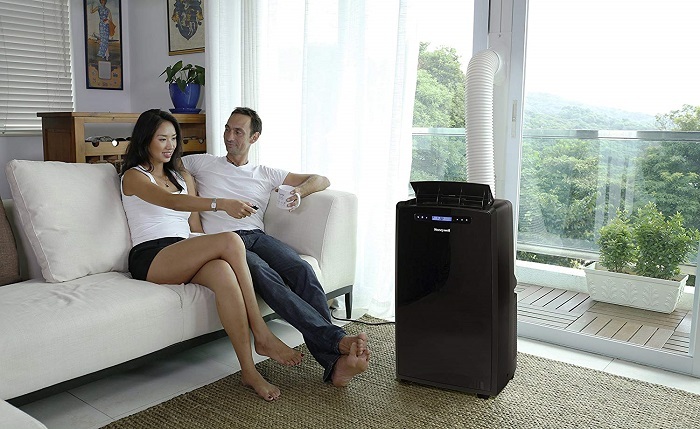 Lasko 2002 tilts and pivots to direct air flow where needed for cooling comfort. • Flimsy On/Off button and squeaky rattle gets annoying. Holmes HAWF2021-N draws in cool air from the outdoors or exhausts the stale indoor air when installed facing outward. The fan is designed to fit virtually all slider and double hung windows. • Easy to install & clean. • Not as powerful as other units. • Ideal for large rooms up to 500 sq. 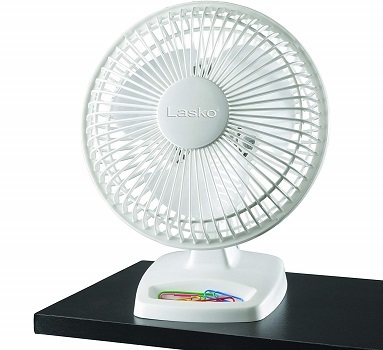 ft.
Lasko 1843 comes with 3 quiet speeds and wide spread oscillation, this fan will help you feel cooler and more comfortable throughout the year. • Have a background noise. • Mostly made out of plastic. • 3 Quiet, Energy-Efficient Speeds - allows this free standing pedestal to provide a cooling breeze around the home or home office. Ideal for the bedroom, living room, or near your desk. Low, medium, and high speed make this well suited around the whole house. • Adjustable Height & Tilt-back Head - gives you the ability to direct the cooling air right where you need it. The fan's stand or pedestal, adjusts up or down changing the fan's height while the tilt-back head lets you aim the air towards the floor, ceiling, or anywhere in between. • Widespread Oscillation - describes the action of the fan head moving from side to side to blow air throughout the area. Oscillation allows for the fan to provide ventilation for a wide area. 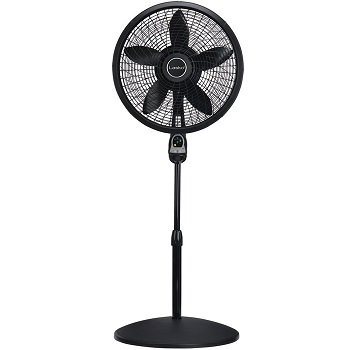 • Wireless Remote & Built-in Timer - make this fan an ideal choice over other fans. The ergonomically designed remote control allows you to control fan speed, timer and power automatically from a distance. 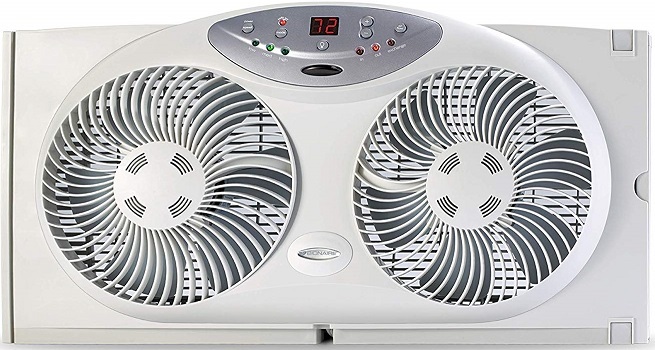 While the built-in timer is programmable to shut the fan off automatic after 1 to 4 hours. • Simple No Tools Assembly - means you'll have your fan assembled in no time. Simply follow the included instructions to assemble the base mount to the extension pipe, fan blades and grill and you're done.